One of the most exciting Connected Home enhancements that we made this year was adding compatibility between our popular Wi-Fi Smart Plugs and Amazon Echo. This gave users of our Wi-Fi Smart Plugs an easy, intuitive way to control their home with the sound of their voice. 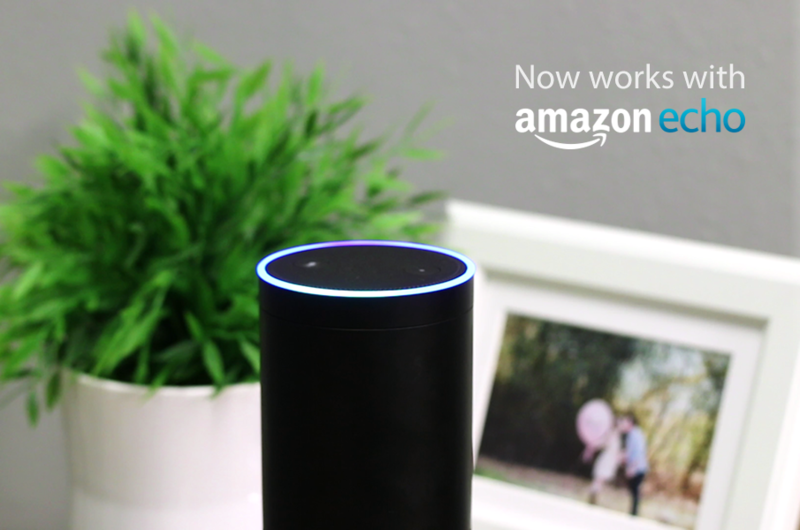 Since introducing compatibility with Echo, we’ve more recently updated the integration to use the native Amazon Smart Home Skill. What this means is that commands are now simpler and more intuitive, with stronger voice recognition. Once you have a Wi-Fi Smart Plug, getting it to work with Amazon Echo is as easy as 1-2-3. First download and install the mydlink Home app and setup the Smart Plug. Next, download the Amazon Alexa app and install the Amazon Echo product. Finally, enable the mydlink Home Skill in the Amazon Alexa app. You can visit Amazon’s website to learn more about Alexa Skills. Now, all you have to do from here is use a voice command. For example: “Alexa, turn [On | Off] the [device name]”. We’re really excited to collaborate with the most popular technology platforms to give customers new and fun ways to interact with their homes. By pairing with Amazon Echo or even IFTTT, users of D-Link Connected Home devices can now control their homes with an app, their voice, or even have things happen automatically. Simple ideas like these allow our Connected Home ecosystem to be one of the easiest ways to transform any home into a bona fide smart home.